Vivo has officially unveiled the long-awaited NEX Dual Display Edition smartphone on December 29. 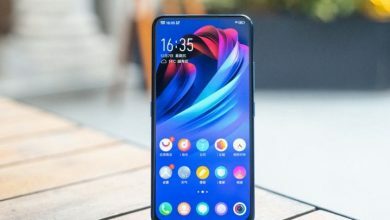 As expected, the novelty received a rather unusual performance – it lacks a front-facing camera, but received two displays, which is reflected in the title.The flagship smartphone Vivo NEX Dual Screen Edition starts selling in China as the company’s top phone. The main feature of the new device from the NEX line, as the name suggests Dual Screen Edition, is two screens. On the front side of the NEX Dual Display Edition, a 6.39-inch FullView Super AMOLED screen with a useful area of ? ?91.63% is awaiting. On the reverse side – 5.49-inch Super AMOLED display. By the way, thanks to the complete absence of the front camera, in the sense in which we are used to it, the main screen has almost no frame. Dactyloscopy is built into it. Vivo NEX Dual Screen Edition is metal, and glass on both sides. The smartphone looks spectacular, but due to the two oleophobic coating panels it can be very slippery in your hand. An unusual design element of the smartphone is the “Moon Ring” color notification indicator, which covers the camera module and the second display. The smartphone received the 2018 Qualcomm flagship chipset Snapdragon 845. The amount of RAM is 10 GB. Unfortunately, the 128 GB drive cannot be expanded. As you know, the 845th “dragon” does not work in the networks of the fifth generation of the mobile Internet, but 4G support is in place. As well as dual-band Wi-Fi 802.11ac, and Bluetooth 5.0. Interestingly, despite its flagship status, the Vivo NEX Dual Screen Edition cannot work with NFC.There is both USB Type-C and 3.5-mm audio output. NEX Dual Display Edition has a three-chamber main module, which, thanks to the design of the case, also serves as a front-end. It consists of a 12 megapixel Sony IMX363 sensor with 4-axis optical image stabilization, a 2-megapixel auxiliary night vision lens and a 3D camera, which is also used for reliable information protection using face recognition. The battery of the smartphone has a capacity of 3500 mAh – not the highest record among the flagships, but there is a fast charge. The first Vivo Nex sold 2 million units, so the novelty has great chances. 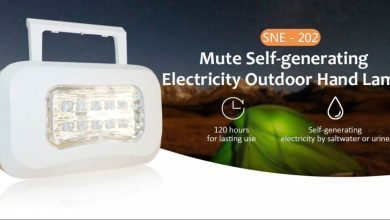 Now it is available on GearBest at $739.99 price. Hurry up to pick it up as a present for upcoming holidays. What Kinds of Full-Screen Design Have Emerged This Year?